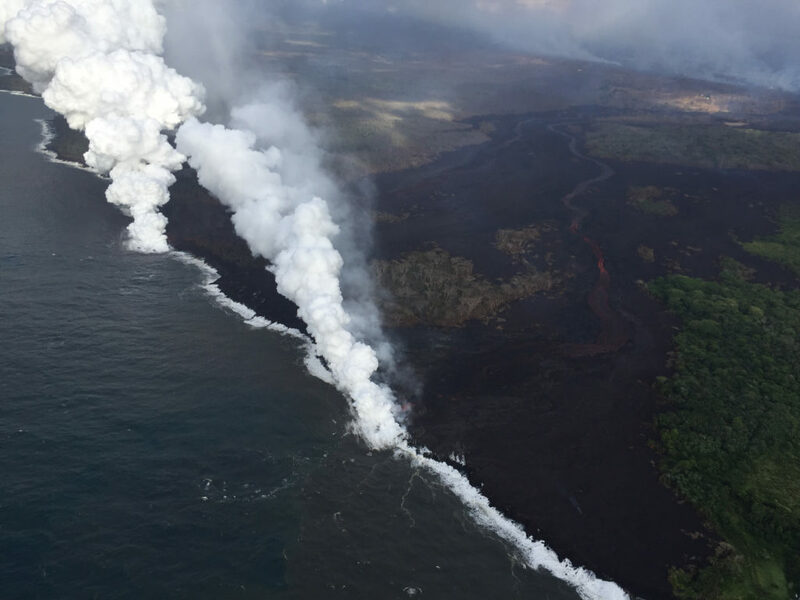 Volcano School of Arts and Sciences will be closed Wednesday, May 16, 2018, due to the potential ash fall and dangerous driving conditions. 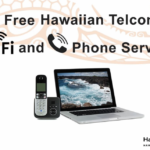 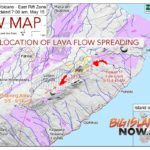 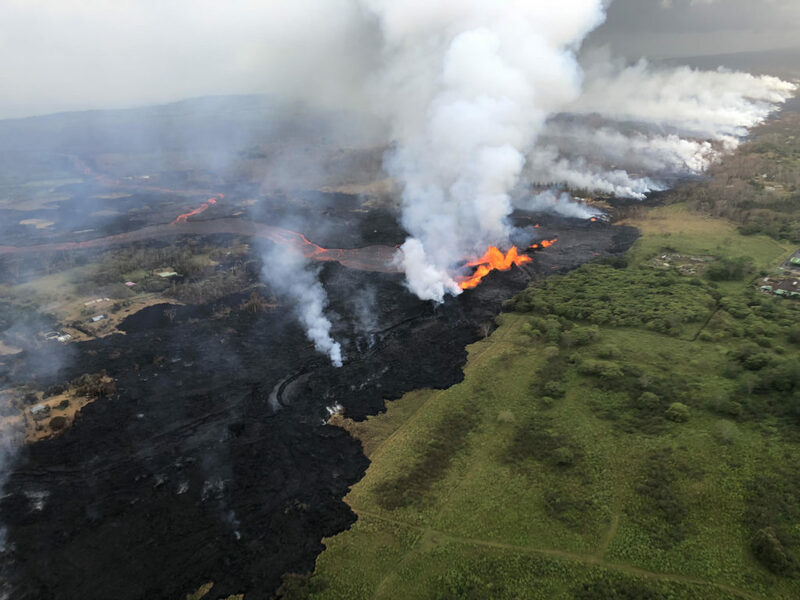 For more information on the closure visit their website https://www.volcanoschool.net/. 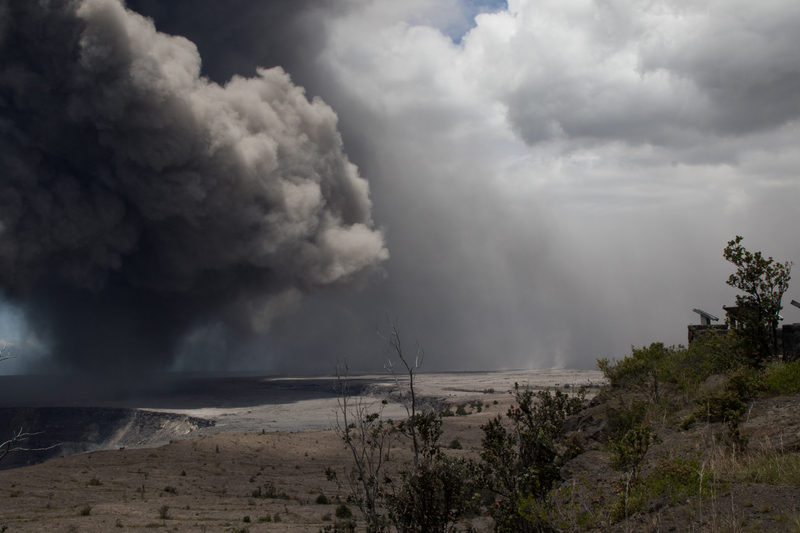 The U.S. Geological Survey (USGS) reports that at At 11:05 a.m. on Tuesday, May 15, 2018, this photograph taken from the Jaggar Museum, Hawai`i Volcanoes National Park, captures an ash plume rising from the Overlook crater. 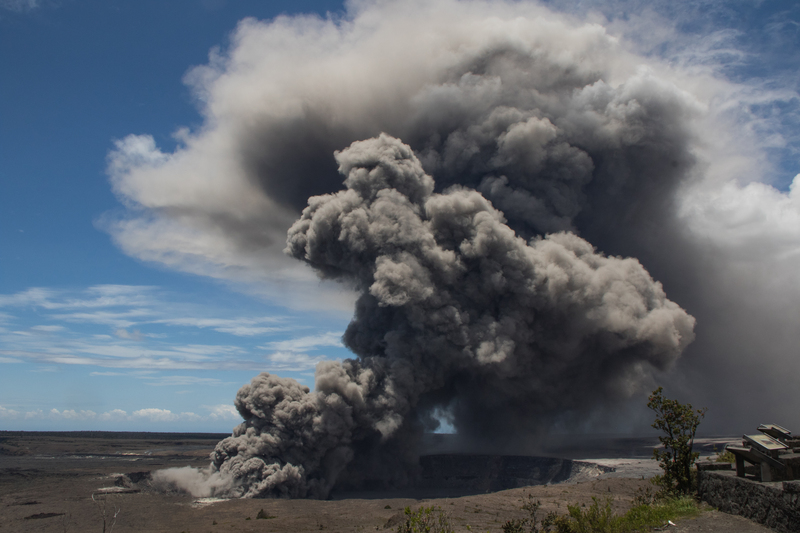 At 1:38 p.m. another dark ash plume rose from the Overlook crater. 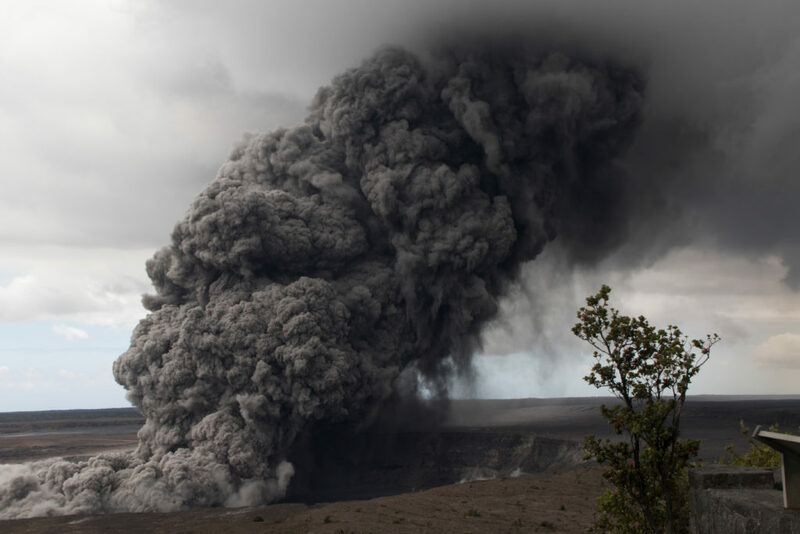 During a flight earlier today by the Civil Air Patrol, the height of the ash plumes near the crater rose to more than 3 km (9,800 ft) above sea level, and downwind the plumes continued to rise to about 3.5 km (11,500 ft) above sea level. 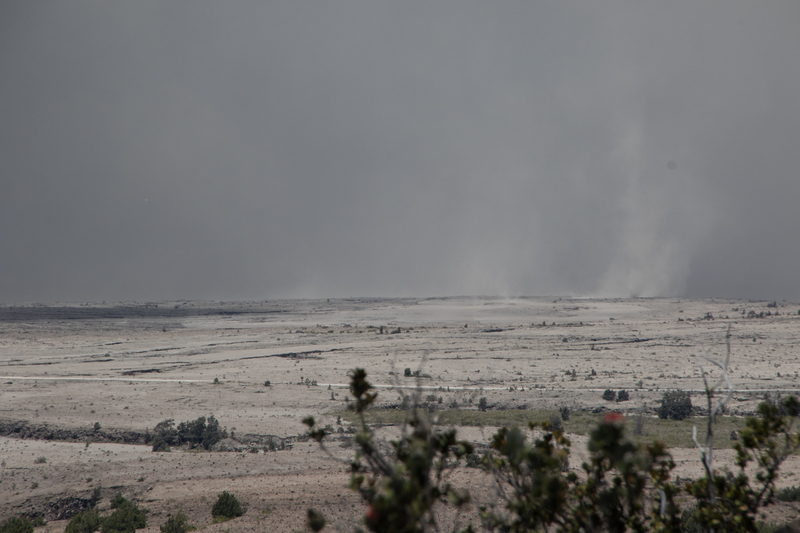 At 1:38 p.m. ash falls from the plume southwest from Halema‘uma‘u crater onto the Kau desert.